In the UK, 42% of marriages end in divorce – 13 every hour. It’s a shocking statistic when you consider that these are relationships in which people have invested so much time, energy and money. For brands, the outlook is even worse. In highly competitive markets like utilities, 100,000 customers leave their supplier each month. That’s 1,300 an hour. In telecoms, it’s double that. It’s easy for customers to go elsewhere, because too many brands do not pay enough attention to their needs. They don’t understand what their customers really want, or realise that they expect more than an annual birthday message in return for their loyalty. As in any relationship, people want to feel genuinely valued and rewarded for what they put in. Fortunately, we’ve proved brands can develop "happy ever after" relationships – and that it’s worth the investment. The right brand partnerships can give customers access to things they need and desire, making the grass on the other side much less green. Cherry London has kept businesses and millions of customers together for O2, Aviva, Pernod Ricard and Western Union, among other leading brands. Four ways to create your "Happy ever after"
Understand what has deep emotional meaning for your customers – then own it. O2 Priority was founded on the simple insight that customers want to feel important; to be a priority. 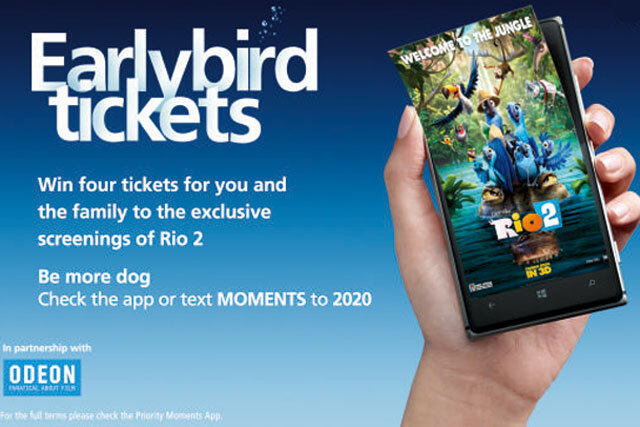 O2 Priority works with its brand partners to give customers unique access and rewards linked to the things they love, but which it couldn’t offer on its own. It understands its customers’ passions – music, sport, fashion, film, eating out, shopping – and then works with partners to offer experiences and rewards that fulfil them. Crucially, it uses targeting and technology to deliver them when it matters most in customers’ lives. Many brands get caught in the trap of thinking that loyalty can be won by offering deals readily available in the market. It can’t. This might be a service, but it is not why customers stay with them. The key to success is distinction and exclusivity. Orange Wednesdays, offering 2-for-1 cinema tickets, provides a good reason to stay. Barclaycard Bespoke’s platform of predominantly market-offers does not. It does create a revenue stream via B2B monetisation, but that’s a very different objective. Western Union is the financial lifeline for more than 200m customers globally. Its customers live and work away from their families, often sending money home. Based on the insight that they are proud to be where are they are, as well as where they come from, we developed the idea of "dual belonging". "When your heart belongs in more than one place, when you’re as proud of your heritage as you are of your future… Be proud of your dual belonging. We are." We work with Western Union and multiple brand partners to bring this big idea to life through "My WU". It connects its 200m customers with their homeland and those they love through exclusive products, services, experiences and rewards. We bring them things that matter, whether it’s a chance to call home for free, tickets to watch their team play in the UEFA Europa League, to print family photos or get a gift for Diwali. In this way Western Union delivers on a big emotional promise and becomes much more than a money-transfer service. Growing dependence on technology means that consumers demand contact that is relevant and appropriate to them. Aviva Drive uses the power of the smartphone to reward people for the way they drive their cars during a 200-mile test, tracked via GPRS, with exclusive, tailored benefits. For Malibu we brought together ghd, Toni&Guy, ASOS, Look magazine and Nails Inc to create the ultimate dressing room for a girls’ night out. Tens of thousands of people visited pop-up Malibutique events in shopping centres in UK cities, and millions connected via social media. By carefully selecting the right brand partners, we created a campaign that dramatically shifted brand perception and started the customer relationship. To do this via traditional advertising would have cost more than £4m (Patrick Venning, marketing director, Pernod Ricard). We also quadrupled the Facebook fan base year on year. In an overcrowded, demanding and disloyal market, the right brand partnerships can help attract and retain customers. We’ve proved brands in even the most competitive markets can make customers want to stay with them, despite aggressive switching deals. To achieve those "happy ever afters", first you need to understand what your customers really need and desire. Unearth their emotional heartland, then bring them something relevant and unique. If brands today are going to stand out in all the noise, they have to be brave and bold. Being a game-changer, or turning failing fortunes around, means creating a big, new idea you can deliver personally and meaningfully in the right place and at right time. Brand partnerships are about bringing brands together to complement and act as catalysts for each other. Through Cherry London, brands can harness and leverage their mutually beneficial strengths, working together for their customers and enabling each other to think and be bigger and achieve more. O2 launched Priority, a market-changing idea that offered its customers the chance to book tickets for sell-out music gigs before anyone else, in 2007. 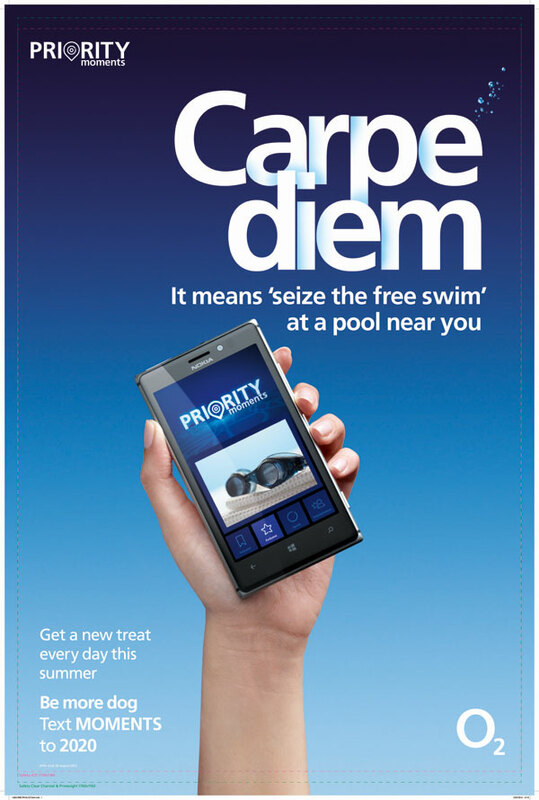 In 2011, Cherry London helped O2 extend Priority into Sports and Moments, building a loyalty programme so compelling that millions of customers signed up. Better still, O2 Priority customers stay longer, have higher customer satisfaction and spend more. Over the past three years, Cherry has helped O2 deliver the Priority promise to its customers. We understand customers’ passions – whether music, sport, or fashion – and develop brand partnerships that deliver unique experiences and rewards to fulfil them. Priority customers can still book tickets before anyone else to see stars such as Lady Gaga, but, working with Cherry, they can also win tickets to see the England rugby union team or the chance to go cycling with Victoria Pendleton, for example. Through a targeted, location-based programme, they can receive savings and rewards from the brands they love in the right place at the right time, such as discounted cinema tickets from Odeon, an exclusive fashion edit and flash sale from ASOS, a free coffee from Caffè Nero on a Monday morning or a free de-icer from Halfords on a freezing day. The power of brand partnerships enables us to continue to lead the way in loyalty programmes and deliver clear ROI. Cherry London is proud to have worked with O2. Every day we see the power of partnerships come to life and deliver real business returns by building deeper more-enduring customer relationships and reducing churn.